The RBMI Group of institutions is one of the leading institutes across Northern India. It has two campuses, i.e. Bareilly and Greater Noida. The group comprises 7 colleges and more than 2500 students in 11 programs. The management Institute of RBMI has been ranked no. 1 B-School in the region for 3rd consecutive year (2006, 2007 & 2008) on various parameters like Intellectual Capital, Admissions & Placement, Infrastructure, Industry Interface and Governance Source. (Survey conducted by AIMA). We offer regular educational programs in various disciplines which include Business Administration, Pharmacy, Computer Application, Engineering and Teaching. The courses offered at RBMI group of colleges are either affiliated to U.P. 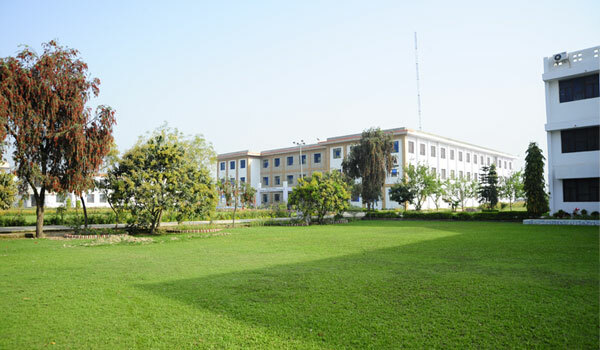 Technical University, Lucknow or MJP Rohilkhad University. A lot of students enrolled with RBMI Universe have also appeared in the university’s merit list. The group aims at providing an environment which not only foster intellect but helps in overall development of the students. Every year, the institute organizes practical based industry oriented teaching, personality development workshops and seminars which help the aspirants to acquire necessary skills required to cope up with the industry norms. These programs help students to build confidence and emerge as a leader in this competitive world. Studying at RBMI Universe helps aspirants recognizing their core capabilities, develop them and harness them to succeed in the competitive global business environment. The alumni of the institute are placed at respectable positions in various leading firms across the world. RBMI offers 100% placement assistance to eligible students of all the streams or programs. Recently, the group have organized 11th consecutive placement fair in associated with Times of India Group. The group also provides industry training to all its students during winter and summer vacation.